The quality of air and level of thermal comfort inside an indoor environment are a major concern due to their effects on occupants. Individuals with prolonged exposure to indoor air pollutants may induce health damage while poor thermal comfort level leads to less productivity. The purpose of carrying out the studies are to investigate the effects of critical parameters on air pollutants and properties inside several indoor environments, which includes an operating room, a mosque and a bus passenger compartment. A CFD approach is used for achieving the research aims. A proper ventilation system strategy for reducing contaminants concentration and improving the thermal comfort level are defined. 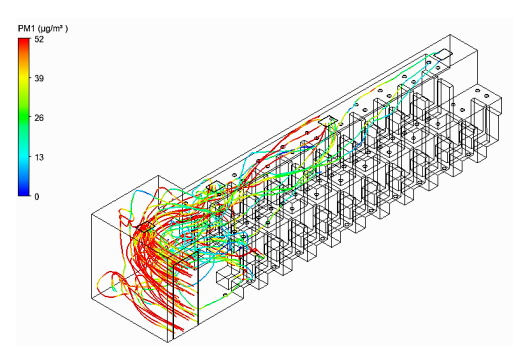 The impact of the study is the developed CFD model is capable of designing a ventilation system layout for reducing contaminants concentration and improving thermal comfort in an indoor environment. The outcome of the simulation models is predicted contaminants concentration and air properties for a given ventilation system layout. From the systematic method, an efficient ventilation system plan in any enclosed spaces can be determined. When such system design is employed, it could efficiently improve the indoor environment which would provide a good air quality and comfortable environment to residents. 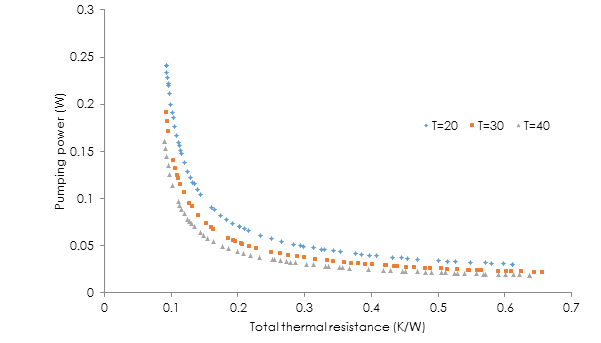 Minimization of the thermal resistance and pressure drop in small channels is desirable for efficient heat removal which is becoming a serious challenge due to the demand for continuous miniaturization of such cooling systems with increasing high heat generation rate. With concerns over the environmental impacts of hazardous coolants, the challenge is to address the effectiveness and efficiency of “new” and environmentally friendly coolants within these small channels. Optimization using genetic algorithm has managed to produce desirable outcomes with natural and carbon nanotubes nanofluids in single and two-phase flow. This fundamental research involves exploring the potentials of “new” refrigerants, investigating their expected behavior in terms of patterns and trends. The optimization method is fast and managed to save effort and cost without having to experimentally determine the potentials of these refrigerants, very important with research associated with “new” refrigerants, and very significant in engineering design. The small power consumption requirement of portable electronic devices has opened the possibility of developing environmental energy based power sources that can utilize locally available wind to generate sufficient magnitude of electrical power required for charging the commonly utilized wireless electronic devices. 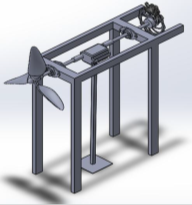 Motivated by this emergent need to demonstrate self-sustainable systems, the design, fabrication and performance evaluation of small scale wind turbines are the main focus of this project. 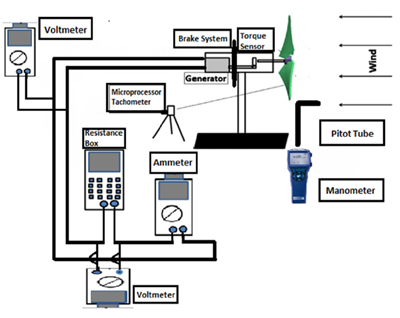 There are two specific objectives (i) to develop a design and analysis tool for the prediction of the torque of the small scale wind turbine and (ii) to evaluate the performance of the small scale wind turbine. The developed turbines are highly applicable for powering remote wireless sensor networks deployed on highways and bridges where cost of wiring or replacing batteries becomes impractical. 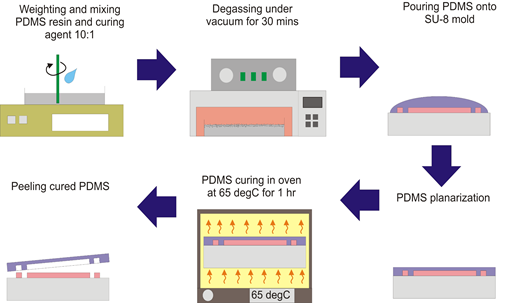 Inertial microfluidics as passive technology for Lab-on-chip (LOC) high throughput biological cells separation is able to be demonstrated using simple microchannel structure design. However, the quantitative design rules between inertial microfluidics and microchannel geometry in separating rare biological cell i.e. viruses, bacteria, tumor cell are still lacking. Therefore, inertial microfluidics phenomena including inertial migration and secondary flow formation with various microchannel geometries are currently being investigated. Theoretical, numerical and experimental methodologies are being employed in the study on the way to enhance the knowledge on the mechanism and physics of inertial microfluidics with microchannel geometries. 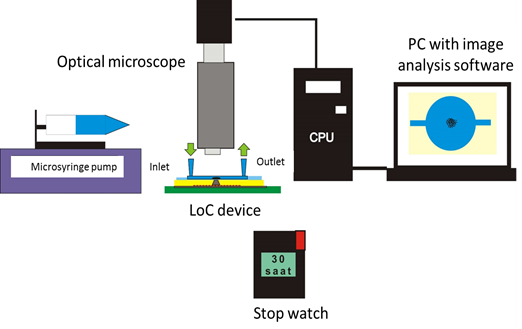 In establishing specialize knowledge on quantitative design rule for inertial microfluidics manipulation with microchannel geometry, an innovative Lab-on-chip (LOC) device for rare biological cells separation is able to be realized. The LOC device as part of point of care testing (POCT) development will be used in early stages of disease prediction with accurate, faster results analysis, reliable, economical, easy to use and portability. 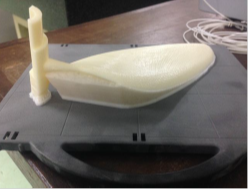 This novel healthcare device model will definitely facilitate faster diseases prediction, diagnosis and treatment for patient speedy recovery and improve human life quality.